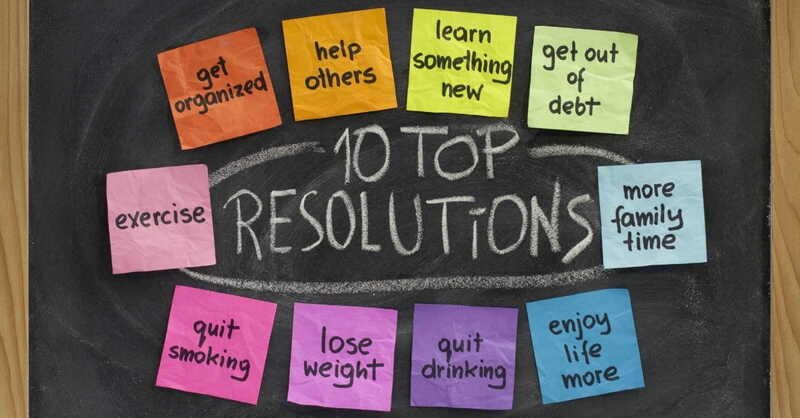 In recent past, Time Magazine listed the Top 10 Commonly Broken New Year's Resolutions. -- Lose weight and get fit. -- Eat healthier and diet. -- Get out of debt and save money. Sadly, this list represents some cultural insight into 1) the top needs of many Americans and 2) a lack of discipline in three key areas of life in the richest nation on earth. Although we are well into [the new year], it's not too late to make resolutions in those areas where you want to see improvement. And to help you, I want to give you some ways actually to achieve your financial or personal goals so that you can be among those with resolutions that are still intact at the end of the year. "I will pay off $8,500 in credit card balances within 12 months so that I can be debt free. "I will save $1,500 in an emergency savings account within 12 months so that I no longer have to rely upon my credit cards." 1. Download a free budgeting plan at crown.org. Once you have downloaded the budgeting plan, spend a few hours working through the numbers to determine how much money you earn and how much you spend each month. This will help you determine if you need to a) decrease your spending, b) increase your income or, c) do both in order to have the amount of money you need to apply towards debt and save some each month. This step is very important and one that cannot be omitted if you want to complete your goal. 2. Establish a separate bank account to automatically withdraw the amount you need to pay off credit cards and to save each month. For instance, in the example above, you need to withdraw about $425 each paycheck or about $850 per month to have $8,500 to pay off your credit cards and save money for emergencies. Once you have made the automatic transfer, use the account only to pay off the credit cards and nothing else. If you have established your budget correctly, you will have a surplus of $62 per pay period or $125/month remaining and $1,500 in emergency savings by the time you reach the 12th month. Realize victory over lack of discipline. Discipline and self-control must be applied one day at a time. If you can establish one daily discipline and stick with it for three weeks, you will form a new habit that will lead to the ability to become more disciplined in every area of your life. A spiritual battle will be waged to keep you from believing that you can be disciplined. The enemy wants to rob you of the fruit of the Holy Spirit and cause you constantly to feel defeated when it comes to areas of weakness. Make this a matter of daily prayer, asking God to help you live one day at a time, to give you self-control and perseverance. Like any endeavor, you may experience setbacks, frustrations or obstacles that discourage you. That is when you must not give in to the temptation to quit. It will be far more encouraging at the end of the year if it simply takes you longer or a few more attempts to achieve your goals than if you had quit early on. Set a reward for success. It is a fact that events that cause a strong emotional reaction are more vividly etched in our memories than those that are emotionally neutral. We can remember days of grief, joy or fear in more detail and for far longer than just a normal day in our lives. If you have had a lifetime of stress when it comes to managing money, use those bad memories as motivation to eliminate the continual fear, anxiety and worry about money that have become associated with trying to solve these problems. Imagine life without that emotional drain and use it to motivate you to persevere toward the opposite end of the emotional scale -- joy, peace and a sense of being prepared. Now with a mental picture of your goal in mind, how would you like to celebrate on Dec. 31 if you have achieved your New Year's resolution? Be honest. Would you like to eat out at a favorite restaurant, give a gift to an important person in your life, be able to be more generous? These are all perfectly acceptable forms of rewards if they motivate you to finish your goals. Since we are all built to desire rewards, this is an important element in your plan. Finally, don't go it alone. Team up with a friend that wants to accomplish a similar goal or join a small group that can encourage you to stay the course. God has designed all of us to operate within a body of like-minded believers. Contact Crown and let us know how we can serve you. Together, let's make [this year] the year that, with God's help, we stick to our resolutions. (c) Baptist Press 2012. Used with permission. Some wording updated for relevancy December 2018. Chuck Bentley is CEO of Crown Financial Ministries. His latest book, The S.A.L.T. Plan, How to Prepare for an Economic Crisis of Biblical Proportions, is available now. For further help, look into Crown's financial resources.